Third and final volume of the Club AC30 compilations of sixteen bands we like covering shoegaze classics! Volume #3 of this compilation is somewhat late, but is well worth waiting for! Volume #1 was released September 2005 and featured among others Andrew Kenny (Amanset), Amusement Parks On Fire, Air Formation and Douglas Heart. Volume #2 followed in September 2006 with the likes of Hammock, Britta Phillips and Paula Kelley (Drop Nineteens). Artists featured on Volume #3 include The Daysleepers, Heats Of Black Science, Spotlight Kid and Wry. 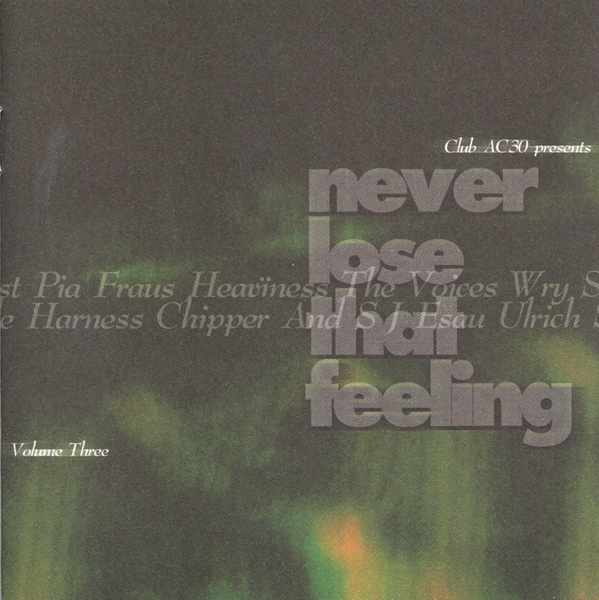 There’s also Ulrich Schnauss performing Love Forever with original Chapterhouse members Andrew Sherriff and Stephen Patman, and Jatun close out the whole series with their excellent version of Swervedriver’s Never Lose That Feeling.